We’ve officially reached peak basil season here in the North East - that point in the summer where you have so much basil that you cannot physically consume it as fast as it is growing. While it might sound like I am complaining, I am most certainly not. I spend a lot of my time during the winter longing for the taste of sweet basil and thinking of all the ways I will be able to use it. Not to mention, the over abundance of basil has driven me to become pretty crafty with how I make my basil overflow last. When I caught wind of the fact that Vitamix was introducing a new 20 oz. personal cup adapter for their Legacy machines, I knew exactly what I was going to make! 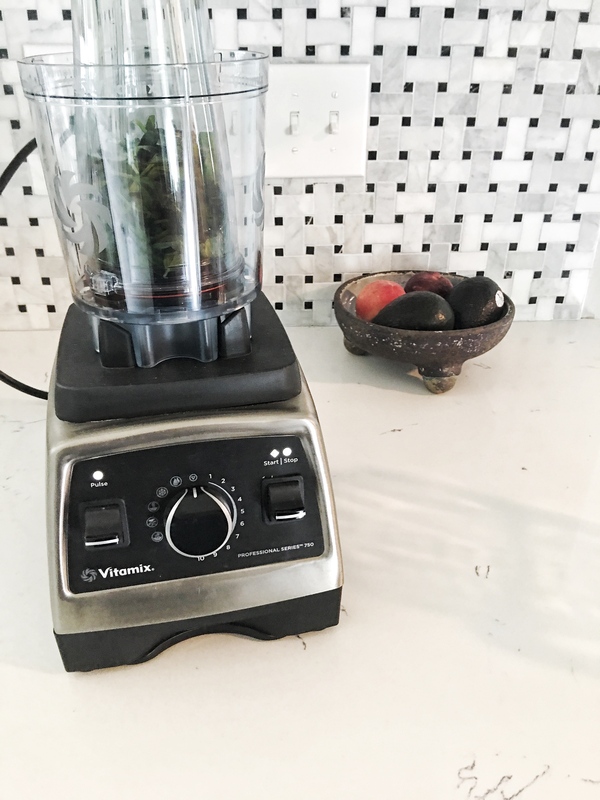 I’ve been a long time user of Vitamix - and I have to say, besides my stove & dishwasher, it is the only appliance in my kitchen that gets used with frequent regularity - almost daily. However, the challenge I have always faced is that there are only two of us in the house, and the blender jar, clocking in at 64 oz. can sometimes leave me with more than we need - and I hate to waste! The new 20 oz personal cup & adaptor has been a game change for my kitchen - not only does it make just the right amount, but it works great for smoothies, sauces and dressings! The adapter comes with two cups and lids so you can take whatever you make on the go! As always, clean up is a quick task. One of my favorite ways to use basil that either won’t get eaten or is just past prime is to make basil oil - a simple puree of olive oil and basil that gets strained into a beautiful, deep green oil. The whole process takes about 15 minutes start to finish and the oil not only keeps in the fridge for a few weeks - but it also freezes well and can be stored for up to 4 months. The oil is great drizzled on salads, soups, hummus, you name it! It adds not only beautiful color, but also just the right amount of basil taste! 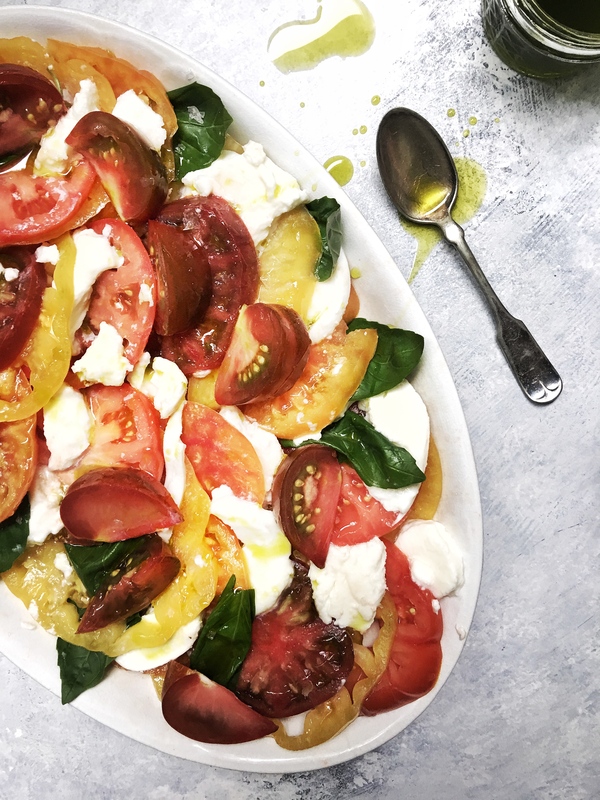 So this brings me to the recipe - which is a simple salad of heirloom tomatoes, buffalo mozzarella, basil and basil oil! The height of summer perfection. 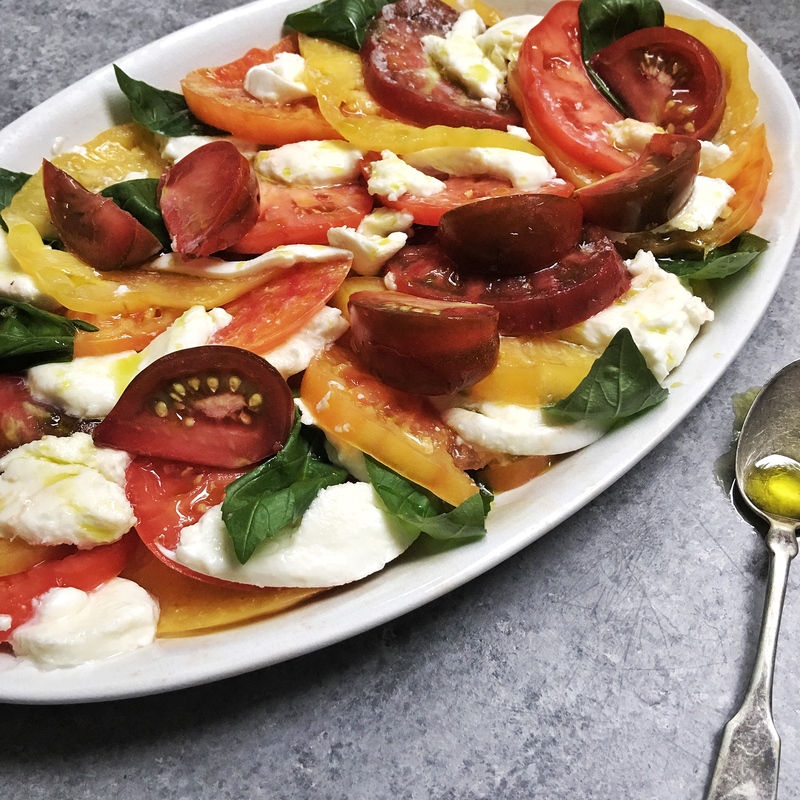 Lay tomatoes on a large platter and tuck pieces of mozzarella under the slices. Scatter with fresh basil & season with salt and pepper. Drizzle with basil oil just prior to serving. Note: You can make this oil with any herb you like - just remember the ratio - 1 part herb : 2 parts oil. Place basil leaves into the personal cup and pour in the olive oil. Attach the cup to the adapter and place on the machine. Blend at variable speed 10 for 30 seconds. Transfer oil to a small saucepan and bring to a simmer. Gently simmer the oil for 1 minute to set the color. Pour the oil into a fine mesh strainer, set over a bowl and lined with cheesecloth. Allow to drain for 5 minutes. Transfer to glass jars and allow to cool. Once cool, use as directed above and or store in the refrigerator for up to 3 weeks.